If you’ve ever tried to work from home you’ll know that it’s nearly impossible to be productive without getting distracted by Netflix or that ever-so-comfy-looking bed of yours. We understand that it takes an awful lot of willpower to fight these urges, so sometimes it’s best to get out and join the hipster creatives in a trendy café or co-working space with free wifi and lots of expensive coffee. 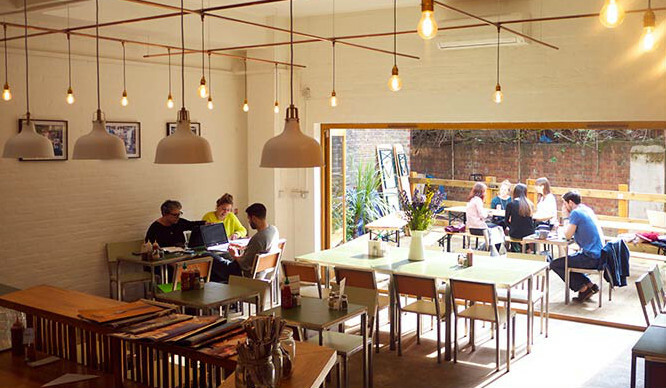 Based in a number of locations across central London, TAP is the perfect place to grab a coffee and gorge on free wifi. It serves “proper” coffee made from the finest ingredients – perfect for getting your hourly caffeine fix. They also have the coolest loyalty cards. Seriously, go and see for yourselves. 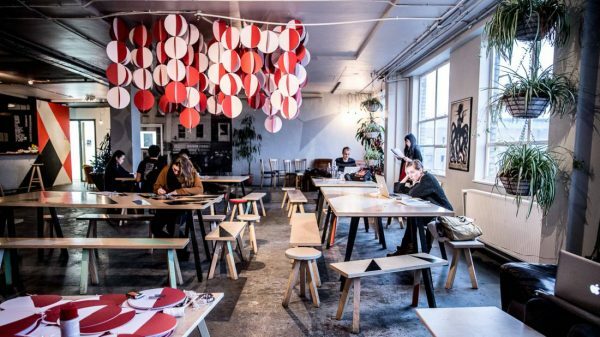 Netil360 has got it all: creative workspaces; a great café with amazing avocado on toast (other food is available); an art gallery; and a rooftop bar serving up all your favourite drinks when you’ve had enough of staring at a screen. They even have a Momo Shack serving up true Tibetan momos and fresh stirfries throughout the summer! Trade comes highly recommended by the TripAdvisor community, and this is absolutely no surprise. 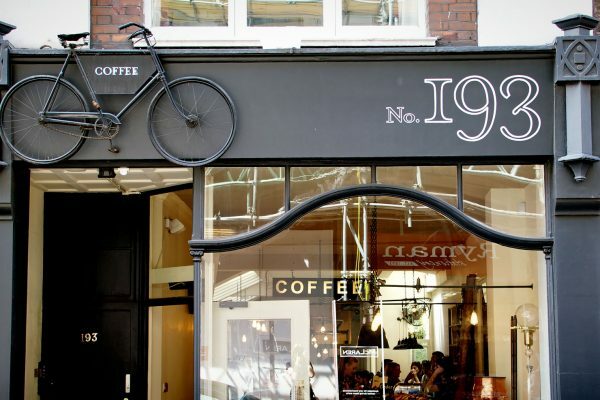 Located near Spitafields Market in East London, this independently owned coffee shop boasts gorgeous interior and a fantastic menu full of really tasty food. 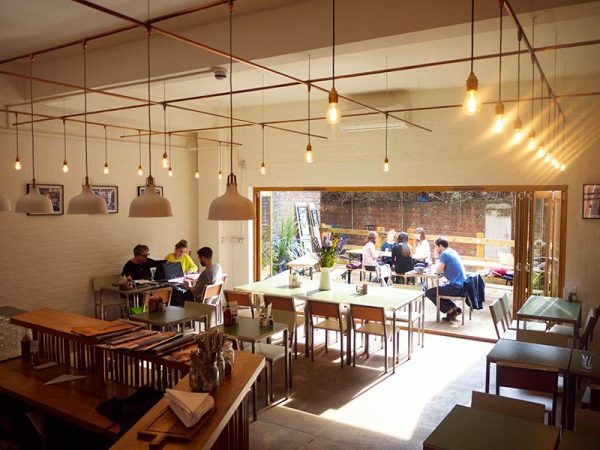 It’s a great place to plonk your bottom for the day and get some work done – and they also have a lovely outdoor terrace for when the sun decides to shine! 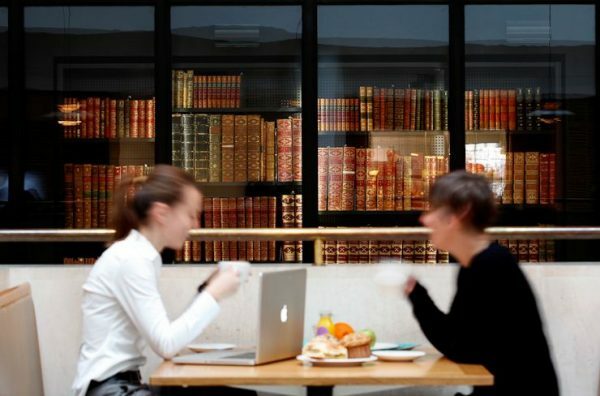 If cake is what gets your creative juices flowing, then look no further than the café on the upper ground floor of The British Library. The library is home to around 170 million items, making it the largest library in the world. So what better way to inspire you to knuckle down than to sit amongst world knowledge and literary treasures? 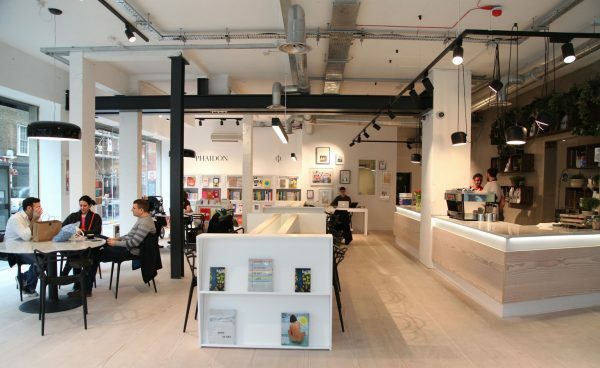 The Koppel Project isn’t somewhere you might usually think of heading for a day of work, but it is a lovely creative hub combining a contemporary art gallery, creative work space, a bookshop, and a café selling delicious trade coffee. 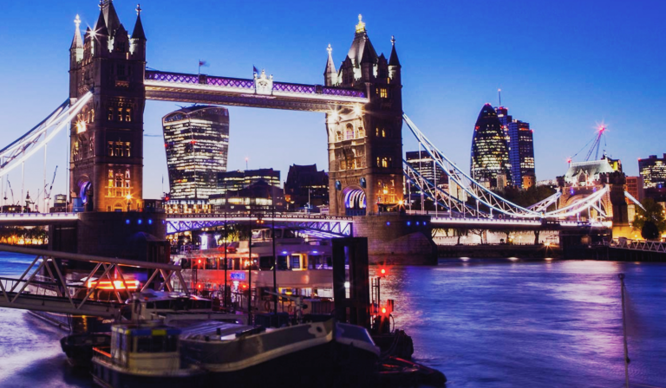 It’s the perfect spot for broadening your mind, especially if you stick around for their evening events, which often include literary talks and performances. 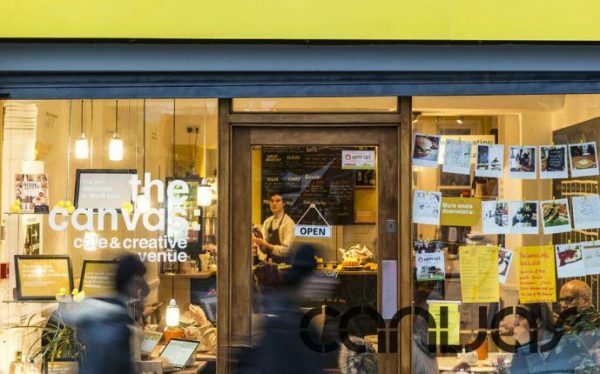 Located just off Brick Lane, Canvas is the café and creative venue for creative minds. Their food is all locally sourced, their furniture doesn’t match, their ethos is all about happiness and mindfulness, and you can write your deepest darkest secrets all over their walls.